Are you on a tight budget? If so that doesn't mean you can't have your own gaming computer. Not convinced? Read on and check out September's $500 Gaming PC. This desktop will last years and is maxed out in terms of pure value. The key is simple. Buy your own parts and put together your own computer. Don't worry if you have no idea how. I will provide a link to a guide at the end. This guide will list all the basic components needed in a desktop computer. In order for it to be considered a "gaming" computer under 500 dollars though, it has to be able to play, at reasonable settings, the most hardware intensive game on the current market: Crysis 3. Why does it have to be able to run the most powerful game? Because it needs to last. There would be no point in a budget PC if you have to turn around and upgrade it in a year or two. Enough talk, time to begin. This basic Gigabyte tower will fit your needs. With two USB 2.0 ports and a rear fan included, this case is a great value. Not to mention it looks sleek and isn't too bulky. A 500 watt power supply will be more than enough for this PC. It runs quietly and will easily last for as long as the computer does. Plus for 40 bucks, who can complain? This Asus motherboard should provide everything needed for the system. The board has two DDR3 RAM slots and support for all the USB ports you need. It also includes a PCI Express x16 slot and supports all fourth generation Intel Core processors. 8GB of 1600 Mhz DDR3 RAM should be plenty enough for your gaming needs. This G.SKILL memory is made for gaming. It includes heat sinks for both cards and should work flawlessly with the motherboard. This Western Digital 500GB HDD should be plenty enough for your gaming PC, especially if you can salvage the hard drive(s) from your current desktop. 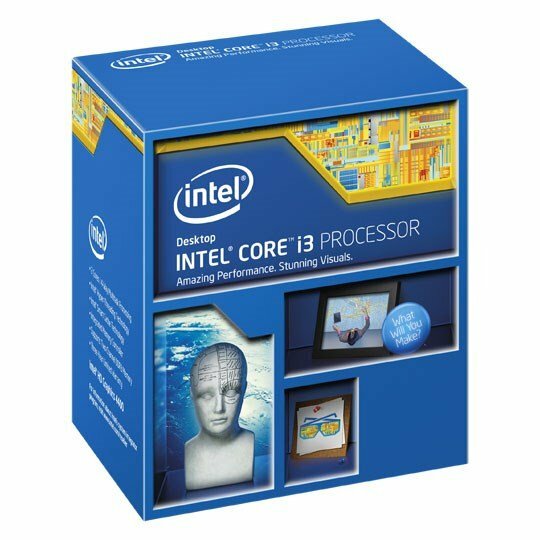 For a value gaming PC, there are quite a few great options as far as the CPU goes, but this 4th generation Intel Core i3 fits this rig perfectly. It is a dual core processor, but with its hyper-threading capabilities it is essentially a quad core CPU and easily surpasses the recommended requirements of Crysis 3. The Radeon HD 7790 is one of the best value high end graphics card on the market today. It also surpasses the recommended requirements for Crysis 3. This GPU will probably last you for a good three plus years and you shouldn't have any problems with it playing every game you can get your hands on. The final price-tag for this gaming rig is a solid $500, and that is not including any rebates, coupons, or other discounts! Have a fun time buying and remember: you can never go wrong with the Tech Canoe. For a guide on how to put together your new computer, click here.